The URL of your website is like a shop name, which often becomes a hallmark of your business. It is the link address that represents your organization, products, and services in search engines and social platforms. The structure of a URL matters the most as it is your virtual identity. The users tend to remember names of online stores since they have excellent shopping experiences. 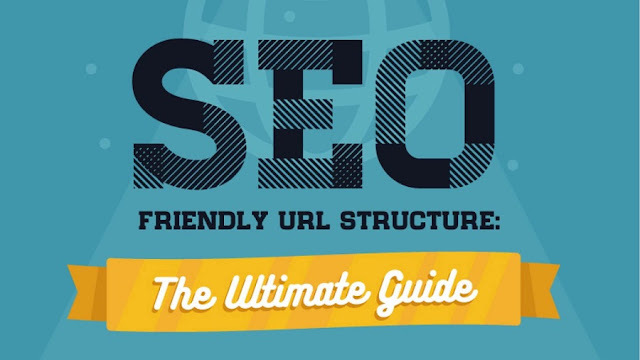 In order to get maximum exposure and reach, you are required to adopt a URL structure that is friendly for the users as well as the search engines. Just like the way users scan a web address, the search robots also visit your websites to rank it against a matching query. If these machines are unable to detect the nature, scope, and purpose of a web page, they will find it difficult while indexing and ranking. And, your website will be shown in search results against irrelevant terms and queries (or, maybe not at all). To help you easily refine the SEO friendliness and readability of your website, we are sharing the top 10 tips. The online buyers like to remember the web address of their favorite online stores. Most of the online stores have a target audience of less educated people, who will never bother to cite the meaning of a complex term you have used for your products. They will proceed with the purchase if they understand about the product at the first glance, else they may leave. So, it is recommended to use simple words that are simple, easy to pronounce and remember, and they will love to shop most often and refer the website by word of mouth. For example, you can prefer to use “women-clothing” in spite of “women-ensemble” or “women-couture" in the domain, category or product URL. In most of the blogging and eCommerce platforms, a number of codes are added to the URL by default, which makes the URLs look ugly. They are no more attractive and meaningful to a target audience. For example, www.example.com/342fsdoj8743fdasdcc?00983mfp does not make sense. You can replace the codes with meaningful text. Publishing the same content on multiple pages can penalize your website for duplication and plagiarism. The search engines are quite touchy about the uniqueness of the content. If you are serving the same content on multiple URLs, the search robots may consider it duplicate and may charge you under the infringement of the copyright policy they follow. Two URLs that are directing users to common content adversely affect the search engine rankings. So, to make the search engines understand the content is common, you can specify a preferred URL by adding canonical tags. And, it avoids any duplication charges. Add business keywords to the URLs as it is still a wise decision. It makes the URLs consistent with page titles and description and grabs a positive first impression. But, most of the webmasters are in the habit of repeating keywords in URLs through different methods. It goes like adding a keyword to the root domain and reusing it as category and landing page suffix in the URLs. For instance, stuffing the keyword ‘mobile’ in different sections of a mobile shop URL. The experts suggest the wise and fair inclusion of keywords in web addresses. Inserting key-phrases more than necessary will harm the search engine rankings as well as the user experience. In addition to this, keep following the digital marketing experts for the usage of exact match keyword in URLs, because the practices change with the passage of time. This auto-shortening will take display a 404 error to the users and you may lose potential customers. Short URLs are attractive in the sense that the users can easily read, understand and remember them. It also gives the impression that the website has a simple structure and that one can easily find required products or services. This compels users to visit your website, and you achieve a higher click through rate through SERPs and social media feed. The URL of a web page is often sandwiched between a title and description whether it appears in a search engine or shared on social media. The users take a look at the snippet and judge the credibility of your online store. If the URL of a product page has a misleading title, the users are less likely to trust and click it. In most of the social media post, you might be wondering what to write in the caption area while sharing a URL. Most of the marketers either leave it blank or write something irrelevant, which is less effective in making the users click it. For example, your search for ‘black leather shoes for men' and on the top of the results you find a link http://examplestore.com/black-leather-shoes-for-men/ but the titles say ‘Gift and toy shop – Example Store' will you like to click and see what they have to offer? Or will drag down to view other results? Surely, you will ignore for reading a misleading title that neither matches its root domain or the URL suffix. The use of stop words like for, but, and, of, etc. in a URL may stop search engine to understand a phrase. These common words distort the meaning of a phrase when the search bot skips them. For higher readability, use word separators like a dash or underscore. A URL is considered worth visiting as a user can recognize the words easily. There are various separators that are in use by the webmasters. It includes a dot (. ), an underscore (_) and hyphen (-). It separates the words within a URL to make them readable. The problem with the first one is that the URL suffix does not have sufficient space to recognize each word separately. In the second example, the underscores combine with the underline which is also confusing. That’s why the marketers prefer to use hyphens, as used in the third example. Redirection is like getting traffic and popularity from all the previous URLs of your online. it often happiness that either you have to modify the URLs either for rebranding or restructuring for better SEO. In redefining the URL structure, you may lose traffic and web ranking if they are not redirected. Set redirections to continue receiving the link juice to your page rankings from the previous as well as the recent URLs. This is the main purpose of setting redirections, whereas most of the marketers overdo it to secure higher page visits. It needs to be stopped as soon as possible, because the higher number of page visits may lead you to unrealistic analytics. The purpose of a redirection is to serve the users and search engines find alternative web pages. You can make best out of the redirections for broken links and edited URLs to retain web traffic and link juice. But, keep it limited to the purpose rather than availing unfair advantage. The www and non-www version of your website are treated as separate entities. You might be losing website ranking if they are indexed and ranked separately. It may pose the issue of duplicate content as discussed in the above tip for canonicalizing multiple URLs on the same page. To have the benefit of your SEO efforts, consolidate both versions with a canonical tag. The structure of URLs is significant for securing higher rankings in search engines. It determines the reach and exposes of your online business. The latest updates to the search engine algorithm are making it more focused to the ease and convenience of the end users. For them, every internet user is a customer so they are striving hard to deliver them results that best matches to their search queries. The above tips are commonly practiced and suggested by experts. 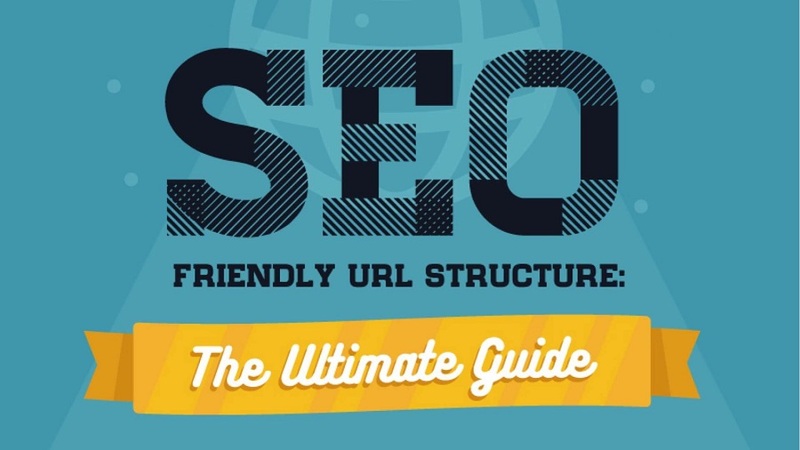 You can easily implement them to make the URLs of your website SEO friendly. Alastair Brian is a professional blogger with a sound grip on addressing eCommerce problems with their possible solutions. He is working with FMEModules, which specializes in developing interactive modules and appealing themes. Apart from web development, the company has also got expertise in PrestaShop ecommerce Custom Development. To Hire PrestaShop Consultant for quick insights, follow him on Twitter, LinkedIn.